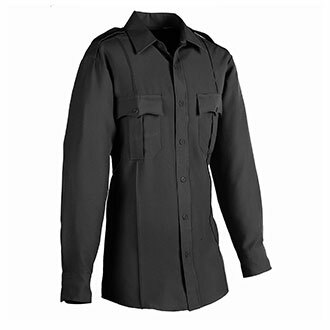 This easy-care machine washable uniform shirt is constructed of polyester fabric with a tighter weave than other uniform shirts for enhanced moisture wicking to ensure you stay drier and more comfortable. Premium details like sewn-in military style creases, button down epaulets and permanent collar stays give this shirt a crisp, professional appearance. Sizing is not right, the size tag says 17 1/2 but it's more like a 191/2.. While most shirt sizes are known by neck size ad sleeve length, your system drives me crazy --- any chance you can revert to neck & sleeve length?? ?